Ubuntu 13.10 and Bluetooth on Broadcom BCM43142 WIFI+BT combo adapter – Out Here In The Field : New Frontier! Bus 004 Device 002: ID 05e3:0747 Genesys Logic, Inc.
My Razer Orochi works normally, even the pairing survived a reboot. Strangely my Apple Magic mouse can be paired but still not working. 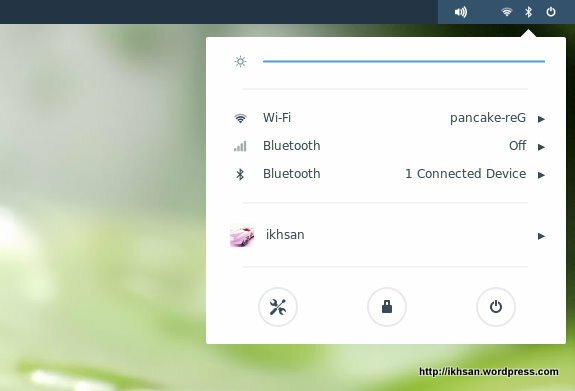 Lenovo G700, ubuntu 14.04 – same bluetooth device. Thenks to your instruction bt wrks fine. That means connnected to Logitech adapter to play music. Thanks, thannks, thanks a lot , you are a life saver, works like a charme with my dell inspiron 15. I have the same problem that you used to have but in my case when I tried to find the id from my bluetooth it doesn’t appear. I hope that you can help me. I’d really like to use ubuntu for this. Bus 001 Device 003: ID 03eb:880f Atmel Corp. So bluetooth on your notebook is actually running. Then I tried to do that you told me but I think that it doesn’t work at all because it is the output. and I don’t get anything more. I have been trying the whole day but it’s still not working I’m starting to get frustated. have you tried booting up your laptop with liveCD and do lsusb? Yes but unfourtanley appear the same as the first time. Unfortunately I’m stuck 😦 Can you try with different version of Ubuntu? Or different distro? Hi all, lenovo b5400 and kubuntu: my bluetooth doesn’t work. I tried a hciconfig but give no answer and hciconfig dev says “Can’t get device info: No such device”. Any hint? Google search tells me that the B5400 is equipped with either Intel 7260 or BCM20702. Can you tell me what kind of wireless adapter included in your notebook? Bus 002 Device 003: ID 1bcf:2c0c Sunplus Innovation Technology Inc. Bus 004 Device 002: ID 0480:a006 Toshiba America Info. Systems, Inc. Thanks very much My Lenovo E10-30 bluetooth now working with your way.I already try dosen sites nothing works.Keep up sharing. 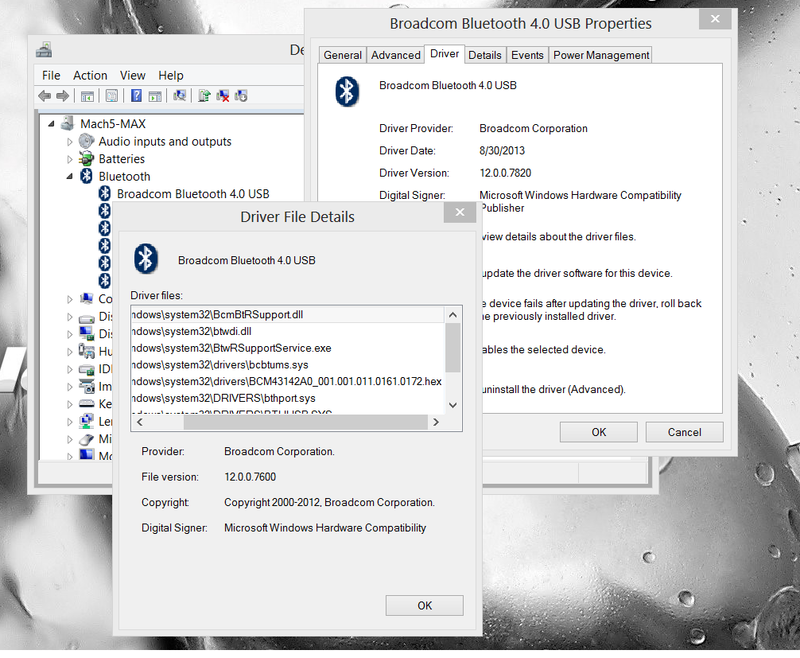 my bluetooth also doesnt work on Ubuntu 14.04. I’m using 3.16 kernel (for touchpad support). My laptop model is Acer Aspire E5-551G-T0KC. Bus 006 Device 002: ID 06cb:2970 Synaptics, Inc. Bus 001 Device 005: ID 046d:c065 Logitech, Inc. Bus 005 Device 002: ID 04ca:2009 Lite-On Technology Corp.
Device with id 04ca:2009 in lsusieb should be my dvd drive (according to google), but last time i entered “lsusb -v -d 04ca:2009” it showed the product: “BCM43142A0”, which usually is the bluetooth card. After applying your and another guide, i can’t find it anymore. thank you for your solution to this BCM43142 issue, great article. My case was exactly the same as yours. Bluetooth is working well now. Woop woop! days of searching on the internet and only your method works. gracias! “failed to open file” … what am i doing wrong? i had the same error “failed to open file” and i don’t understand what’s wrong? i have the same error “failed to open file” but i don’t understand what’s wrong? i copied the file into hex2hcd folder and the ” ./hex2hcd BCM43142A0_001.001.011.0161.0176 BCM43142A0-0a5c-21d7.hcd ” gave me the same error! At least I know what the problem is. Thanks! Thanks a lot. I’ve lost a lot of hours trying to solve this problem.